One place I feel stands out from all the other chains when trying to decide on a night out would be Cracker Barrel! I have been going to this restaurant since I was a kid and for the most part they always seem to have excellent service and food, for a great price. This is also a great family location for dinner with home-style cooking that is hard to find anywhere in most areas. 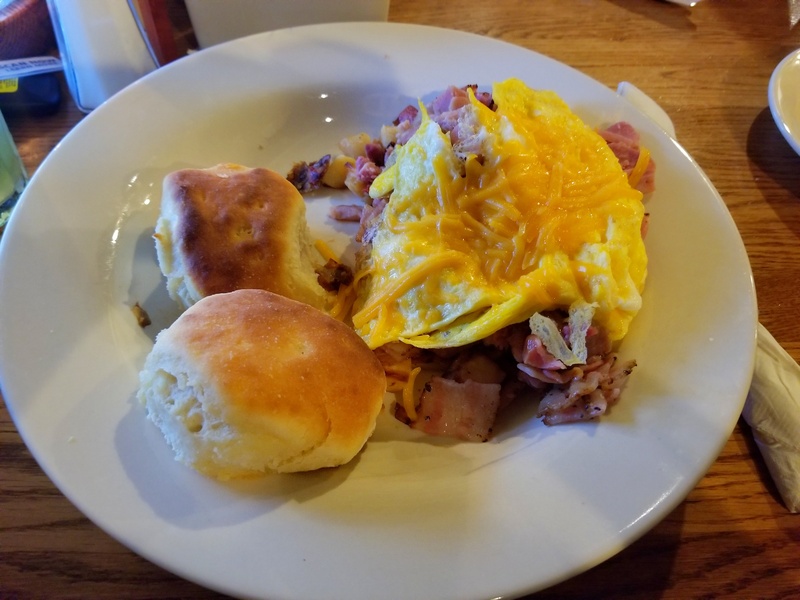 Cracker Barrel has come out with some great new Southern Breakfast items that I was lucky enough to try out, since they are only available for a limited time. So what are these items? 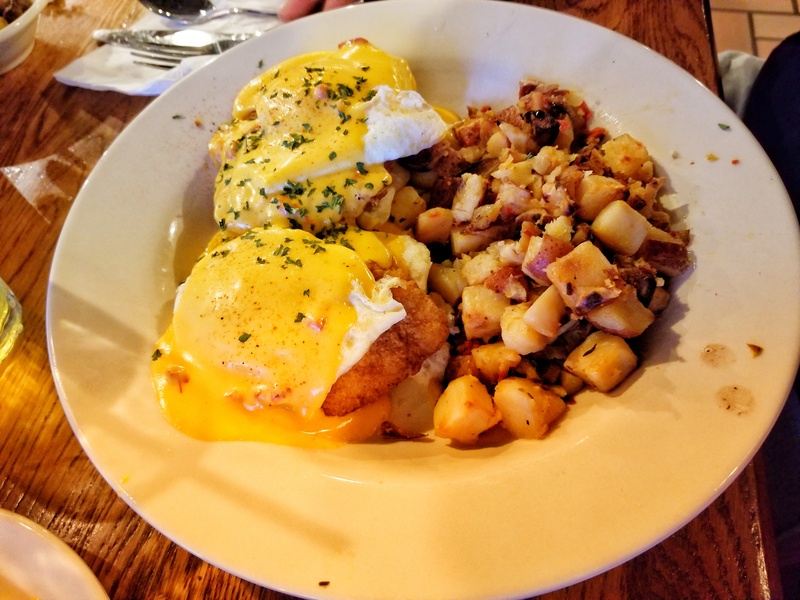 Fried Chicken Benedict Southern Bowl, Ham n’ Maple Bacon Southern Bowl, and Sausage, Grit Cakes n’ Green Tomato Gravy Southern Bowl, and two new sides….Sweet Pepper n’ Red Skin Hash, and Loaded Hashbrown Casserole. While it was a hard choice, I decided to go with the Ham n’ Maple Bacon Southern Bowl….I can say this filled me up a little too much! This dish was loaded with plenty of ham, bacon, and potatoes along with two of their famous biscuits in the dish. This also had the maple onion jam throughout the dish which gave it that extra “pop” of flavor it needed to stand out from the normal breakfast dishes. I also decided to get the Loaded Hashbrown Casserole as a side dish with my meal and I can say I truly enjoyed this even more. 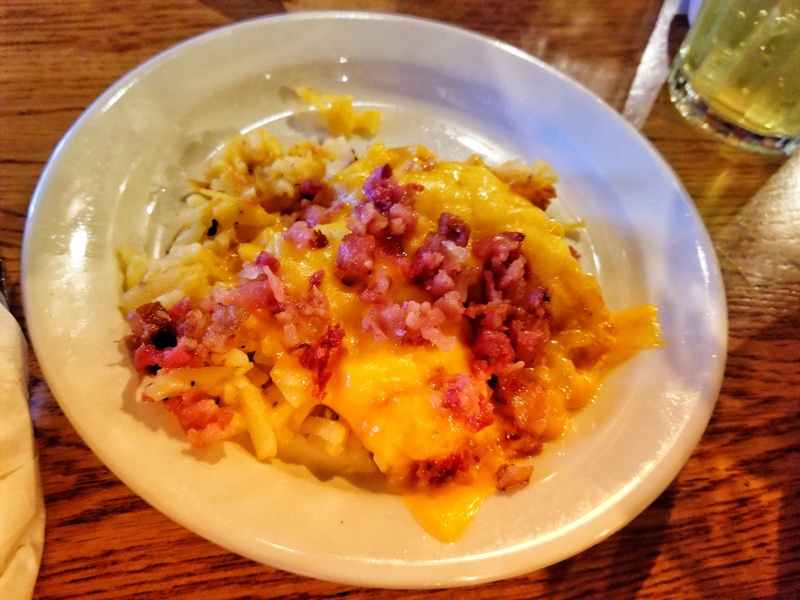 The hashbrowns were really LOADED with cheese, and me being a cheese fan, well, I thought they tasted great! My boyfriend had gotten the Fried Chicken Benedict Southern Bowl to try…and all I got from him was it was REALLY good and the bowl completley finished, and him over-filled. So I would say this was a thumbs up! 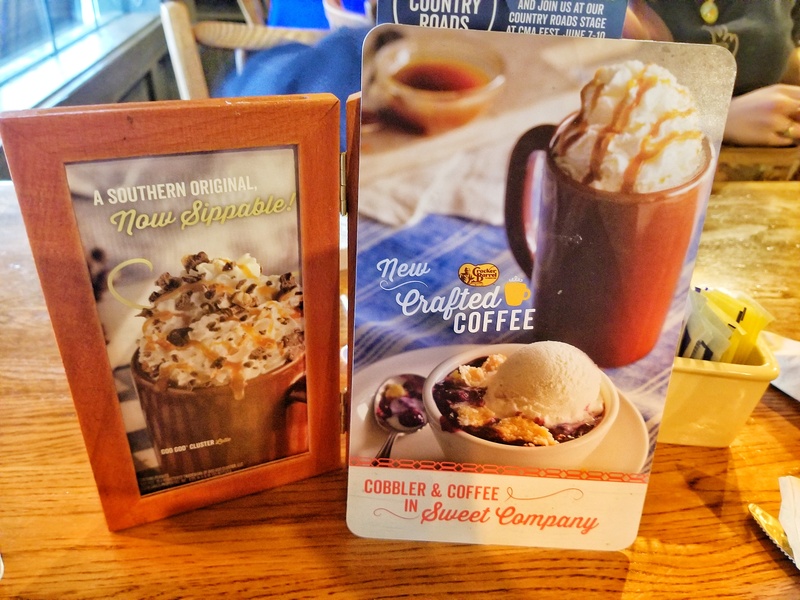 We decided we were going to wait until we were done with our food to try out the new crafted coffees as a dessert….not the best decision with our ready to pop stomachs, but we managed. We had gotten the Goo Goo Cluster Iced Latte and the Carmel Latte, which are apart of the new crafted coffees available now. They also have Vanilla and Mocha Lattes available if the other two are not your thing. 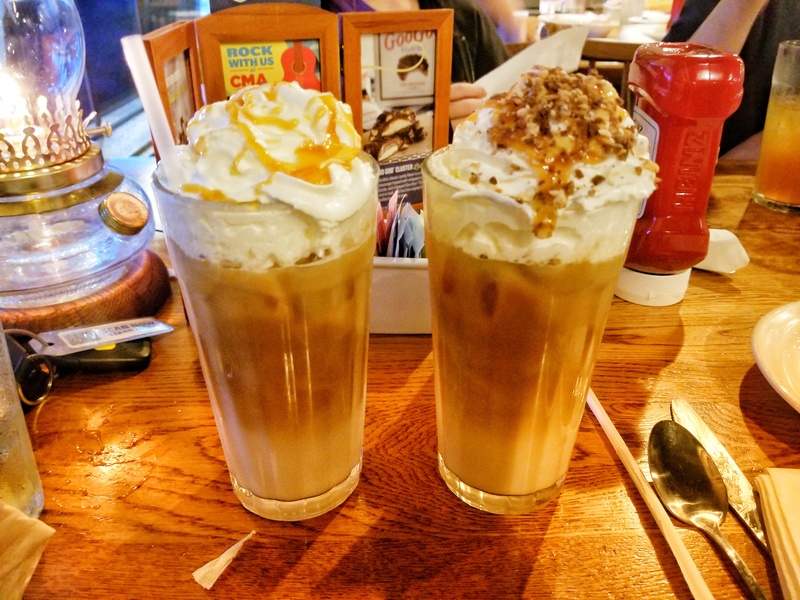 I am not a huge fan of coffee, but like my sweeter, iced drinks….I did add two packets of sugar and this drink was just right for me, with plenty of flavor and caramel taste. My boyfriend had his Goo Goo down about as fast as he did with his bowl (and I’m not sure how), so another thumbs up from him!